Roof racks for transporting your gear safely, easily, and in style. Let us help you find the ideal roof rack for your needs. Low-profile, complete rack system with exceptional aerodynamic performance and integrated design. Complete roof rack system with classic steel square bars. Black polymer coating. 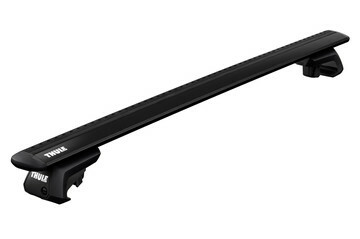 Heavy-duty roof rack system with a unique tri-slot design for fitting of multiple accessories. Thule’s number one priority is safety – for you and the people around you. 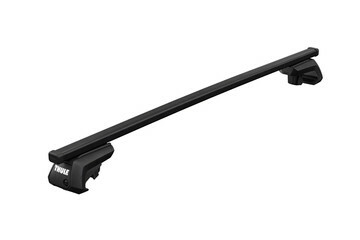 Our fit kits ensure your roof rack fits your car as safely and securely as possible. Also, at the Thule Test Center™, our products are only given the official seal of approval once they’ve survived numerous crash tests, wear and tear simulations, as well as extreme heat, cold, damp, sunlight and even harsh chemicals. All so you’re free to concentrate on the adventures ahead. User-friendliness defines every Thule product, and our roof racks are no exception. 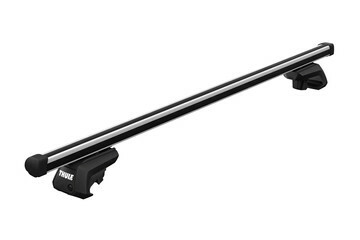 With a minimum of tools, installing a Thule roof rack on your car roof is now quicker and easier than ever before. Thanks to the ingenious torque limiter key that clicks once it’s properly tightened, you can be sure of a safe and secure fit on your vehicle every time. 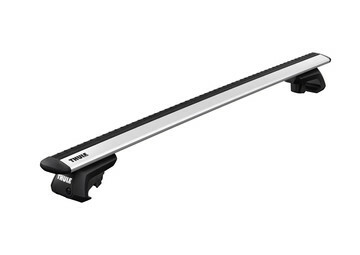 If you choose a system with Thule WingBar load bars, the new QuickAccess interface will allow you to install and remove your roof-mounted accessories – such as bike racks and roof boxes – seamlessly in the T-track. No matter what system you choose for your vehicle, you can rest assured that you’ll get the safest, strongest and most stylish roof rack around. 100% made in Sweden. And tested to the limit and beyond, Thule roof racks means quality all the way.